I’m pleased to present Digital Revolutions’ latest abstract wallpaper, Cityscape. This urban wallpaper features a subdued color scheme and fantastic, grungy elements. 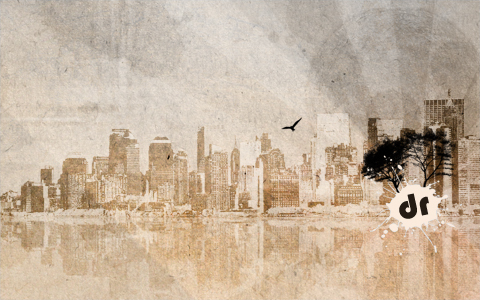 Available as a free, widescreen, high-resolution wallpaper, Cityscape is a great way to breathe new life into your desktop. Download today! you know what kind of wall paper you need on here? A squirrel one!!! What font did you use for the “dr”? ?